The Faux lead tower looks more like an austere but elegant feature of architecture rather than a piece of garden furniture. 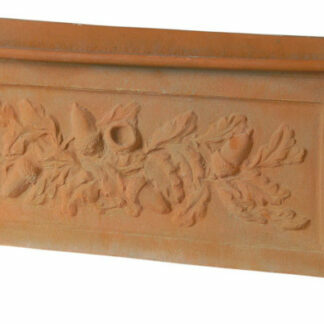 Of course, the Chelsea style of planter imitates the affluence of the wealthy regions of London. 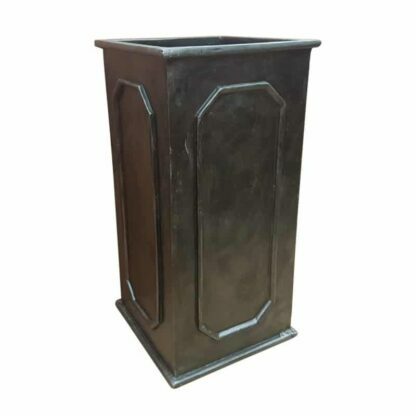 Unlike the Cube or the trough however, the shape of this tower makes it look more like a platform or pedestal for displaying curios or artifacts in stately homes. With this in mind, this planter might just help you transform your garden or outdoor space from a workspace into a work of art. 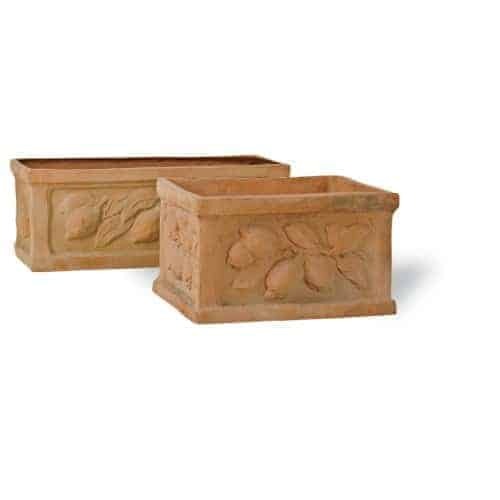 If your garden is more ‘rustic’ or even downright overgrown, this planter will fit as though it has been there for years – fitting comfortably and easily with the scenery. 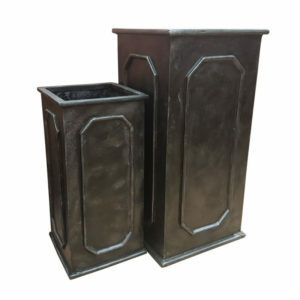 The faux lead finish presents a dark but neutral finish that will complement rather than clash with any bright colours or vivid tones that can be found in other garden furniture or plants you might have already installed. 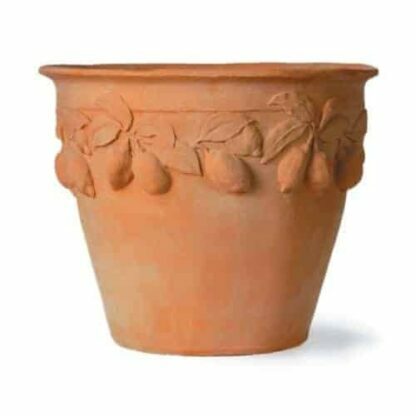 The height of this planter, when compared with it’s width and depth, make it ideal for planting taller shrubs, bushes or (small) trees. When planted with buxus bays or cones for example, will create columns or spires of black and green. 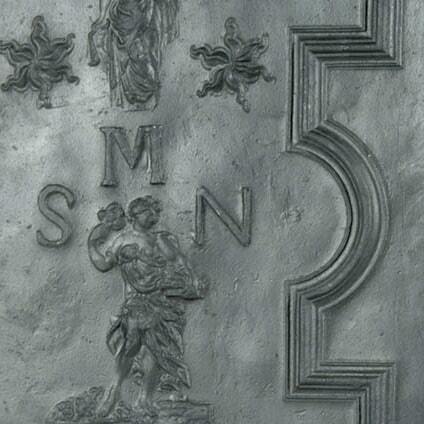 This combines the natural and the man-made world in harmony. Consider placing one of these natural pillars either side of a doorway, or use them to form a divide or wall in your outdoor space, creating the effect of distance as you or your guests follow the path they create. 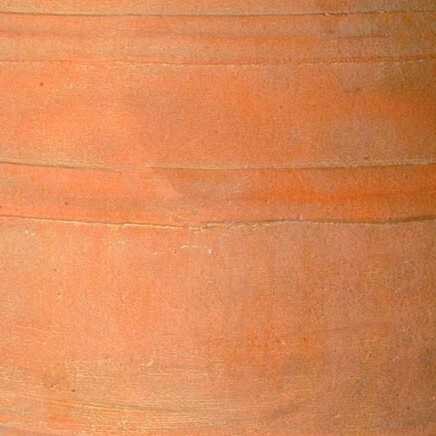 As these are made of fibreglass, they are resistant to the adverse effects of the weather and will age slowly when compared to more traditional materials. Thankfully, these are only made to imitate the finish of lead, rather than some of the other qualities of that material. A 40x40x80cm planter made of a heavy metal like lead would weigh a proverbial tonne – turning installation or re-positioning into a real odyssey, and one preferably avoided. This rustic trough would be the perfect addition to any traditionally designed home or garden. At 91x37x35cm, this planter has the proportions of a window box, but it would only be suitable for the largest of window sills. 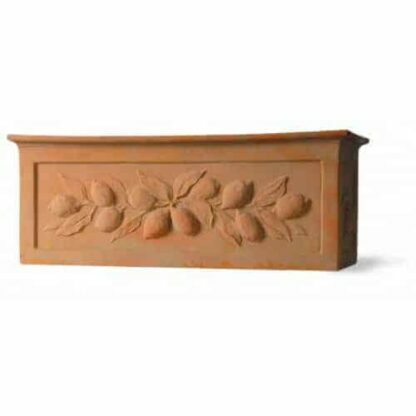 The smaller scale of these Fibreglass troughs makes them ideal for use where space can be limited- like on roof terraces or in awkward corners. Sporting a Citrus themed motif, this quaint little planter is sure to bring a great deal of life to your home and garden.